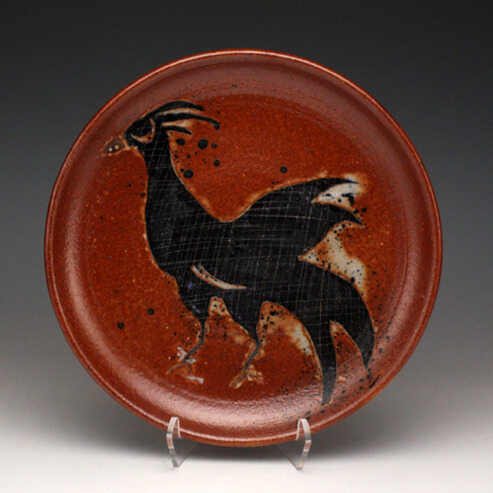 Gaye Ann Hutton established her studio, Creative Ceramic Concepts, in 1998 after completing 3 years of art studies at the University of Hong Kong, and studio practice at the Hong Kong Visual Arts Center. This was preceeded by her BA with honors at Webster University in Saint Louis, Missouri, and post-bac investigations under Jeri Au. She has also studied with James Lawton at Anderson Ranch, and Michael Simon then Michaelene Walsh at Santa Fe Clay. She is currently active with the Mid-Missouri Fine Art Society and has her work represented at various craft galleries in the mid-west region.